Both Tring parkrun and our very own Wes Ball got several great mentions on Ed Milliband and Geoff Llyod's excellent podcast "Reasons to be cheerful". We were hoping Ed would join us in Tring for his first parkrun but (perhaps sensibly) he opted for a local one instead. You can hear their great account of parkrun in general and also one of the best interviews I've heard with parkrun's CEO Nick Pearson. Click on the image below or here to listen to "Born to (park)run - Geoff and Ed's Excellent Adventure". If you subscribe to the weekly parkrun email you will have noticed we were featured twice in parkrun's new training guide. In the first of a four part series "hill training" was highlighted and where better than our very "undulating" park? For those with a new year resolution to improve your parkrun pace you can find the article here (or click on the picture below). 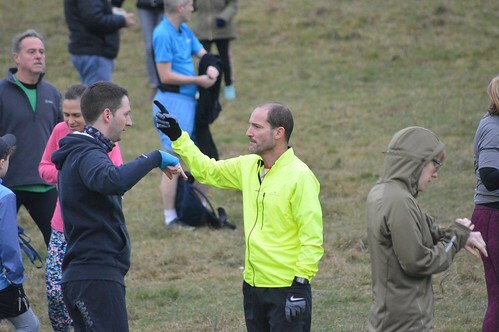 On the topic of new year resolutions, it seems that more than ever have resolved to attend parkrun in 2019. Across the world we saw a surge of participants after new year and this weekend saw further huge increases Click here to see more about UK records. You can zoom into the map and click on Tring for a summary of our event. On the topic of attendance records, Saturday was the first time ever we've had more than 300 parkrunners three weeks in a row. It will be interesting to see how much we've been helped by the dry and relatively mild weather. I've been walking and running in Tring Park for 30 years and can't recall ever seeing the paths so mud free in mid January. Next weekend (Jan 19th) is due to be freezing cold and the week after has heavy snow forecast - it will be interesting to see if our numbers remain high. In preparation for the anticipated wintery conditions some have been practicing the art of floating over the expected mire rather than plodding through it. No less bestowed with magical powers were our lighter than air volunteers this week, thank you to Marcia QUINN, Liz DANIEL, Gary EVANS, Mary WARD, Richard ALCOCK, Robert ALCOCK, Trevor LARK, Patrick MCLOUGHLIN, Michael WARD, Tom BROOKES, Izzy BROOKES, Harry BROOKES, Jos BARTLETT, Andrew POWELL, Oliver WEST, Thomas PAGE, Ciara POWELL, Isobel MONK, Greg LEFF, Anna HANSON, Robert NORRIS, Frances LEFF and Howie BECK. Special thanks, in particular, to Howie and Ciara who have completed their Duke of Edinburgh volunteer stints - we really appreciate all of the help, magical or otherwise. 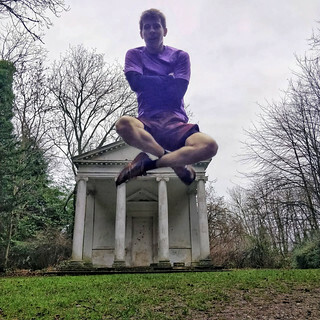 Now if we can just find a way to levitate all of our parkrun kit it would save a lot of early Saturday morning huffing and puffing. And while we're at it, a magical and foolproof way to process our results would be welcome too! Our high numbers have compounded the usual little trip-ups. I'm well aware that at the busiest time, despite two people on finish tokens, it was impossible to hand them out fast enough and that the mouth of the finish funnel got very backed up. Sorry about that! We've had a meeting of the committee and we've passed a resolution - next week will make a few more changes to the shape and length of the funnel etc. to improve things. Additional measures include using drones to hunt down Funnel Duckers and make them run the entire course again! Twice! Lots of great efforts and large amounts of energy expended this week across the board, including by our 14 first time parkrunners: Juliet PENALIGGON, Mark WILLIAMS, Amber PENALIGGON, Grant NEWMAN, Richard MURRAY, Sarah BRIDGE, Mark PARKINS, Roddy TAYLOR, Jackie SHEPHERD, Deborah LEA, Jacob LEA, Ian STACEY, Graham CAMPBELL and Christine DENNIS. Welcome to them all. Kirstie NEWMAN who reached the lofty height of 100 parkuns and "wins" a covetted black parkrun T-shirt. Ann-Marie EVANS and Charlie Scott who both reached their 50th parkruns and will be rewarded with red parkrun T-shirts. And Oliver IRESON completed his 10th, with a PB too, and earns a white T-shirt. It was really great to see ALL of our new runners (those that started at Tring this year, who also ran on Saturday) get a PB: Ian WHITING, Charlotte UTTING, Chris BALL, Mike HOLDROYD and Leah HOLDROYD. Great stuff. And a special mention to Gavin BASHFORD, Marcus DAVIS, Charles ASHWELL who joined us in the Christmas period and also got PBs. Streaks of PBs take some doing and so a special "well done" and congratulations to Moira DOUGLAS for her 5th successive PB. Also on PB streaks were Claire ASHWELL (4 in 4) and 2 in 2 for Christopher IRESON, Christophe BEVAN, Emily SCOTT, Brian McGINNITY, Gary STROUD, Matthew SKELDING, Jennifer SCOTT, Millie WELLER, Oliver IRESON and Patrick McLOUGHLIN. In addition we saw 5PBs in his last 5 appearances for Richard CASELEY, 3 in 3 for Charlotte BAILEY, Shane CHEUNG and Fiona TRINDER. Of those who have run 5+ times at Tring, the biggest improvers were Enid FLEETWOOD (1:55), Moira DOUGLAS (1:47), Thierry CHAUSSALET (1:31), Rachel STANLEY (1:28), Millie WELLER (1:13). That's impressive! 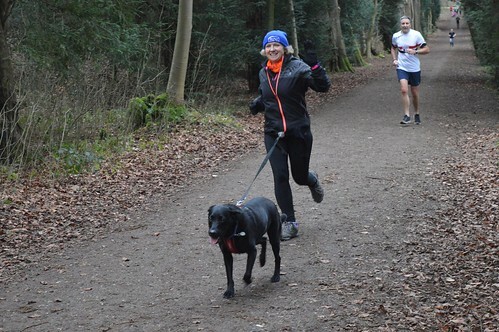 Amanda was the first person in history to accumulate 4 solid days of Tring parkrun time!! Amanda RUSSELL becomes the 1st person, who if all her parkruns were a continuous event, would have spent 4 days running with us. In total 14 have passed 3 days, 49 have passed 2 days and138, 1 day. We saw the surname Myatt for the 200th time, Fleming and Jones for the 100th, Bryant, Killin, Lloyd-Evans and Deverall-Roberts all for the 50th but it was Evans with 6 that we saw most of on Saturday. The 1st time we have seen 3 Noahs, 2 Jacobs and 2 Juliets and the 1st time we have seen the name Roddy. We saw the Beccles and Bungay Harriers club for the 1st time. And so there you have it for another week. Look out your thermals for the weeks ahead!! 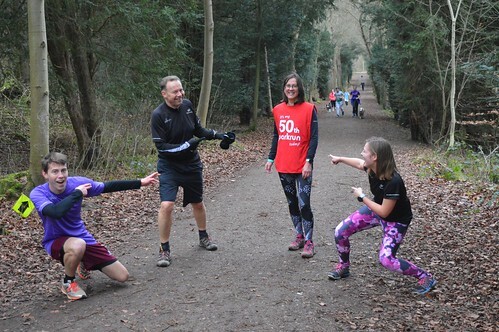 You can find out more about Tring parkrun and see all of our photographs and videos on our Facebook page here. You can see our current volunteer roster here. We encourage all parkrunners to volunteer a few times a year. If you can help on any future date, or would like to find out more about our volunteer and helper roles, please email us at tringhelpers@parkrun.com. We now have two excellent parkrun podcasts available each week. "Free Weekly Timed" is the official parkrun podcast with Vassos Alexander and Louise Ayling. We also have "With Me Now" with Danny Norman and Nicola Forwood which is an independent parkrun-based podcast. Tring's winter course described in a single picture. Thanks to Andy for the spot!